In an interview, prime minister, Dr Mahathir Mohamad claimed that he was pleased with the performance of the Perak MB, Ahmad Faizal Azumu, and that he had not endorsed a move, to remove the MB. 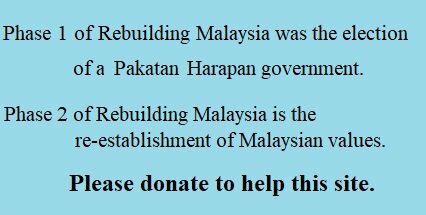 Many Perakians will disagree with the PM. 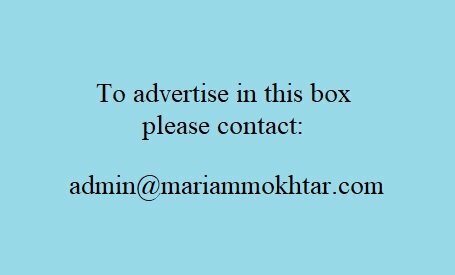 Ahmad Faizal’s appointment last May, was mired in controversy. Few had heard of him, he has no track record of running a government or government department. His degree was suspect and most of all, the people of Perak were disappointed that the popular candidate(s) had been rejected. It is naive to expect Pakatan Harapan (PH) to undo the 61 years of mismanagement, misrule and incompetence, of Umno-Baru/BN rule, in a few months or years; however, the people of Perak are disappointed with the MB’s failure to grasp the importance of integrity. Many PH politicians, including ministers and the Perak MB, were hit by the dodgy degree scandal. Where is the link where he claimed he had “explained” his dodgy degree? 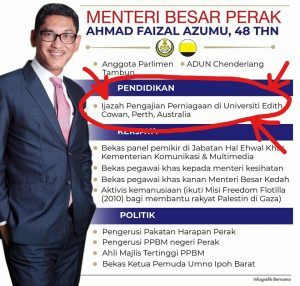 In an interview, Ahmad Faizal, claimed that the attention on him was not justified, as he had already declared in an interview, the previous July, that he did not have a degree. No Perakian has confirmed that they heard the interview. Nothing infuriates the public more than when the head of state is economical with the truth. Many of our leaders lack integrity. Many Malaysian reporters have been emasculated and conditioned by former Umno-Baru/BN politicians. In the past, if they were to ask difficult questions, they and their newspapers would be harassed by the politicians, the Malaysian Communications and Multimedia Commission (MCMC), and the Minister of Communications. Another reason for the Perak people’s lack of faith in their MB is the Manjoi incident. 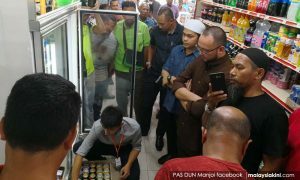 Last year, a shop in Manjoi was raided by discontented people, who disagreed with the sale of alcohol in the shop. Shop employees were threatened with violence, if they refused to remove the beer. As the results of the investigations have not been made public, traders are fearful that the public may descend on them for selling certain items. This is not good for public safety, public relations or the economy. 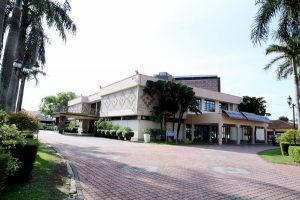 MB’s official residence. To sell, or not to sell? When Ahmad Faizal became MB, he said that the MB’s official residence was to be renovated for his arrival. Within a few months, he claimed to have had discussions with the Sultan about selling the MB’s official residence. The rakyat disagreed with what they said was a trait of previous Umno-Baru state administrations, which sell state properties for profit. The Orang Asli were also furious to be told that they should not depend on the government for handouts. 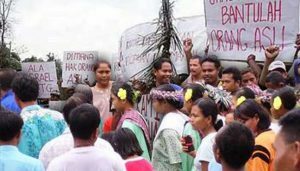 Despite the MB’s claims, that the OA are being assisted by the state, many OA claim that trees on their ancestral land, are being logged by timber companies, issues with village infrastructure were not being addressed and their rights were ignored. 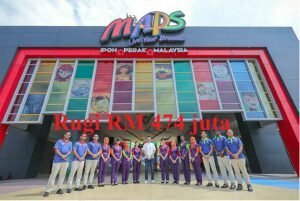 The white elephant animation theme park, Movie Animation Park Studios (MAPS), has already wasted several hundreds of millions of ringgits since it was built. The MB insists that it should be kept. Tickets cost a few hundred ringgits for a couple and their two children. It is haemorrhaging taxpayer’s money, and is expensive to maintain. On a separate note, another exposé was brought to public attention last month. 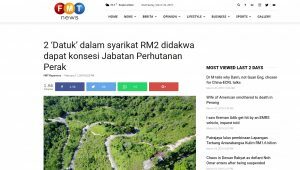 A company, which was formed last July, with a paid-up capital of RM2, was awarded the tender to log 400 hectares of the Kledang Saiong and Bukit Kinta Forest Reserve. There had been no open tender. The company was also awarded a 50 year concession to operate. The two Datuks who are directors of the company had experience in logging, according to the MB. 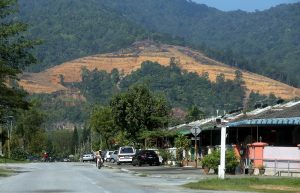 When questioned, Ahmad Faizal said that the big project involved the Malaysian International Timber Board (MITB). The following day, the chairman of the MITB, Wong Tack issued a statement to deny the involvement of the MITB. 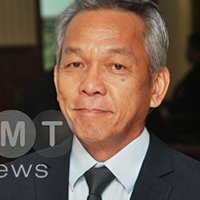 Ever since Wong Tack’s denial, Ahmad Faizal has kept a stony silence about the Bukit Kledang fiasco, and also the scandal behind the Kledang Saiong and Bukit Kinta Bukit forest reserves. So, who is telling the truth? Wong Tack or Ahmad Faizal? Above, are some of the reasons for Perakians to oppose Mahathir’s support for Ahmad Faizal. Perakians want him replaced, before Umno-Baru taps into the grievances of the Perak people and engineers another Perak coup. The rot is so deep, PH malay political leaders are no different from BN types. We are in for a long bumpy ride. A lot of effort in managing trivial matters, economic and educational matters will be sidelined. 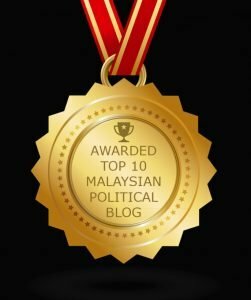 Malaysia will not be a economic tiger – just a meowing pussycat asking for attention.